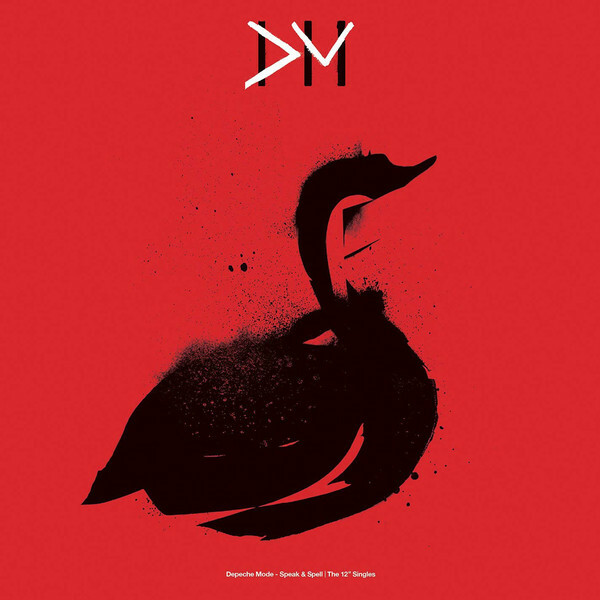 Depeche Mode "The Videos 86>98"
Released to coincide with Depeche Mode's fall American tour - their first in four years and the new double - CD / cassette anthology "The Singles 86>98", this new home-video anthology brings together every single video clip Depeche Mode have made in the past 12 years. 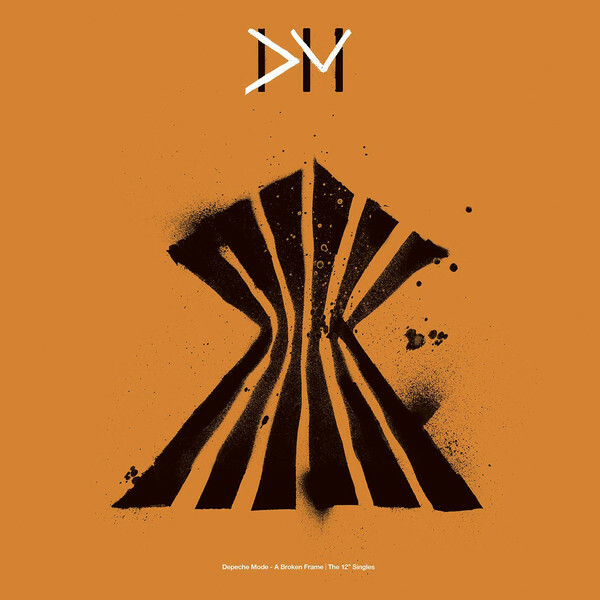 More than two hours long and featuring 21 of the most visually stunning music videos ever made. 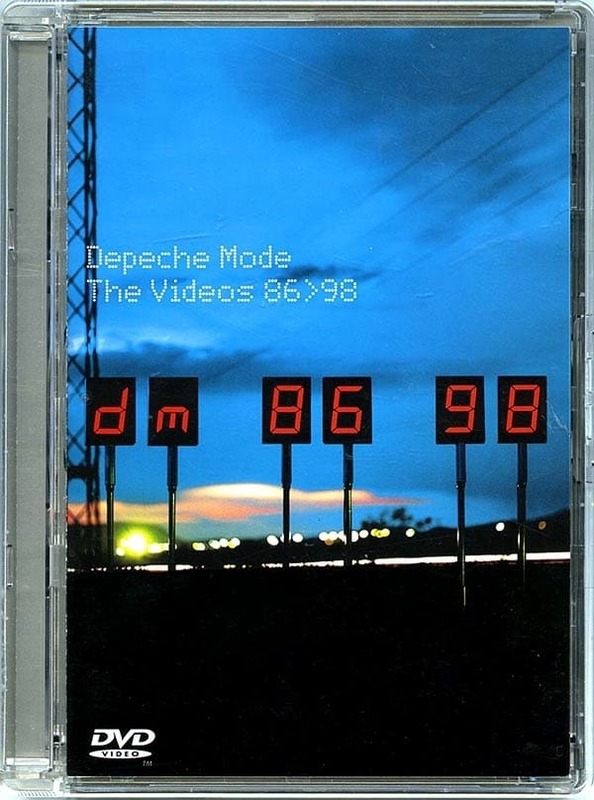 "The Videos 86>98" is a must-have item for any Depeche Mode fan. 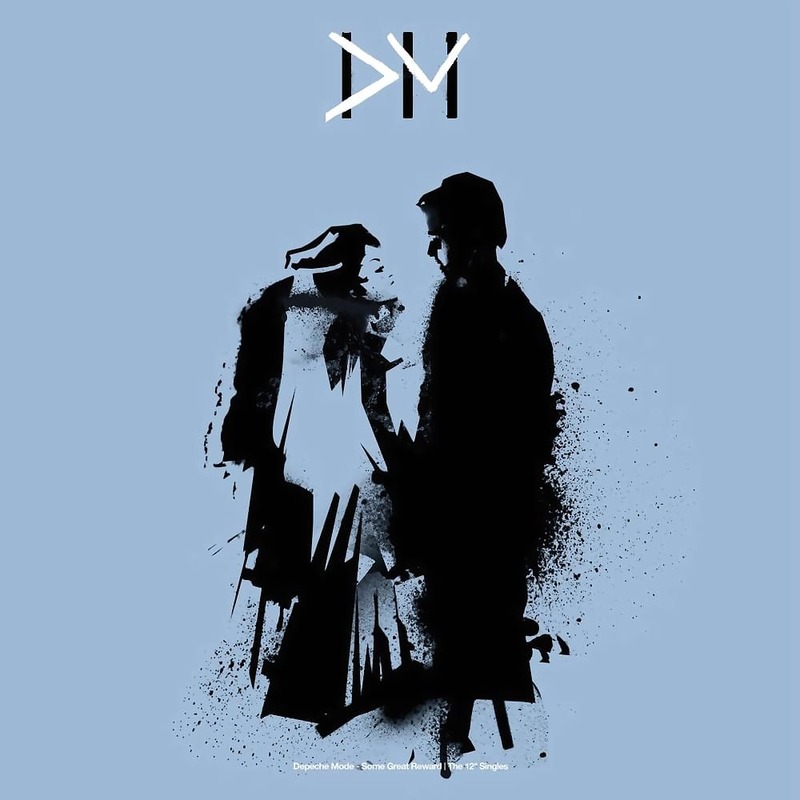 Included here are soch classic Depeche Mode clips as "A Question Of Lust", "Strangelove", "Never Let Me Down Again", "Personal Jesus", "Policy Of Truth", "Walking in My Shoes" asd "Barrel Of A Gun", among others. 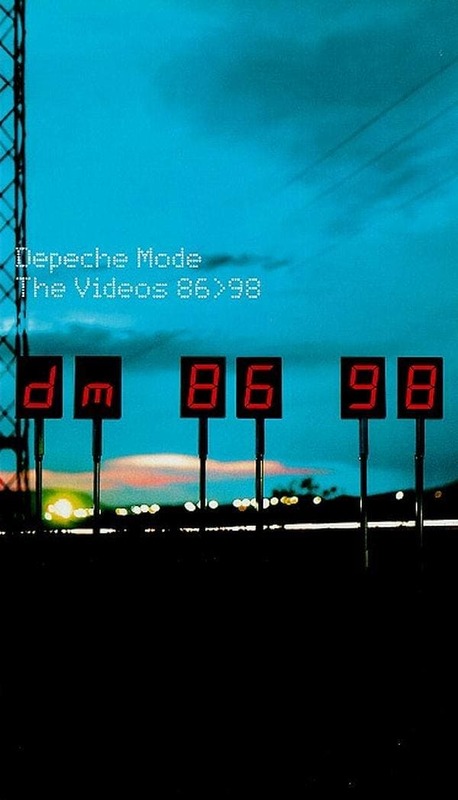 The Videos 86-98 begins with a newly filmed conversation among band members Martin Gore, David Gahan and Andrew Fletcher and director Anton Corbijn in which they discuss the art of video making and comment on their past work together. 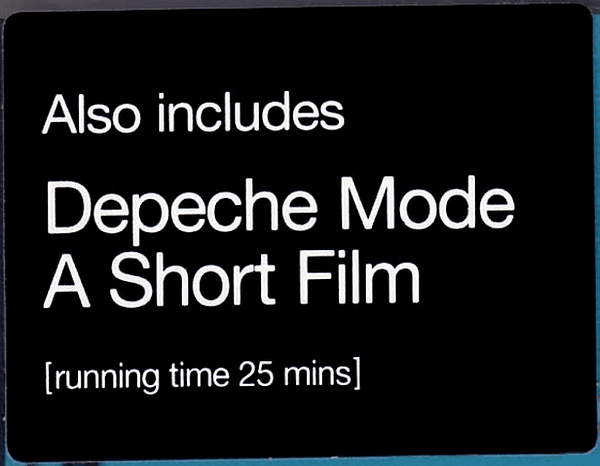 Also included: the 25 minute long Depeche Mode: A Short Film, previously commercially unavailable. 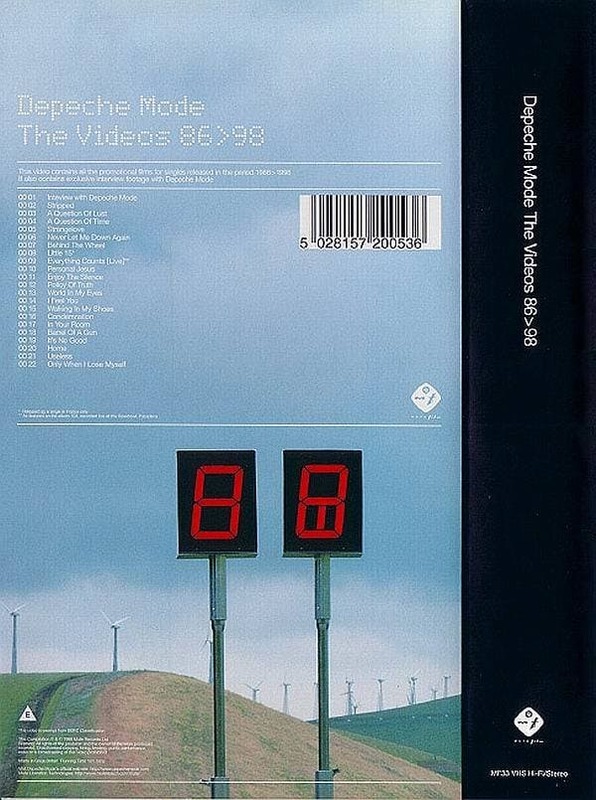 In addition, "The Videos 86>98" contains the video for the brand new single "Only When I Lose Myself". 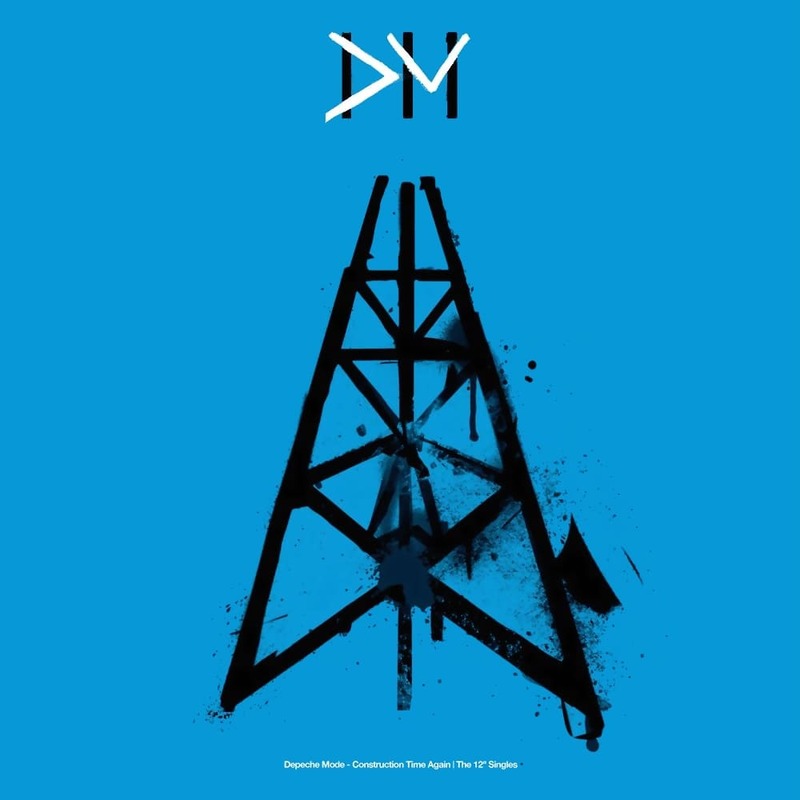 Depeche Mode's actumn tour runs from October 27 through December 22 is the United States. Look for extensive media attention surrounding both the tour, the new album and this home video. 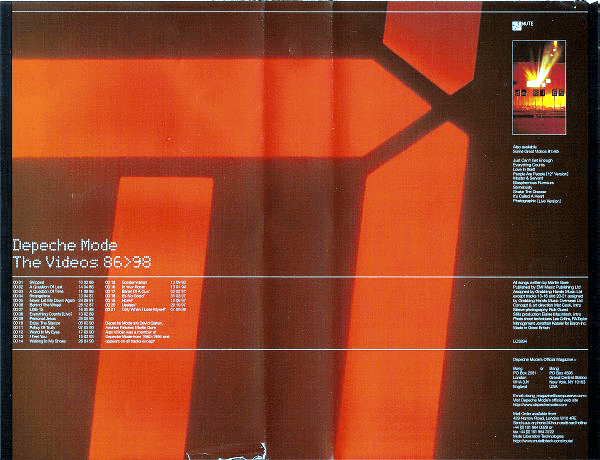 Depeche Mode release their videos from 1986 through to 1998 for the first time ever on DVD, available from 20th March. This DVD takes advantage of the newest technology available, which provides crystal picture and sound quality, as well as easy to use menu options. 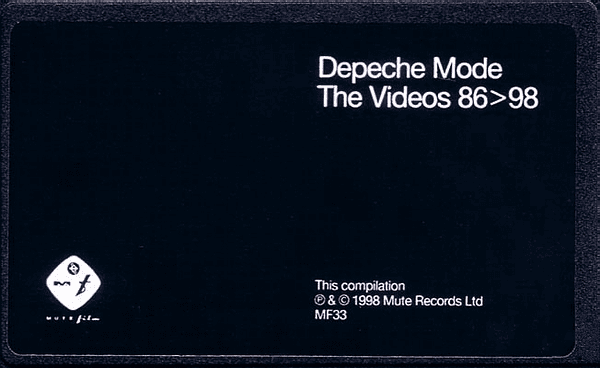 At the start of the DVD is a ten minute interview with the band discussing the videos. 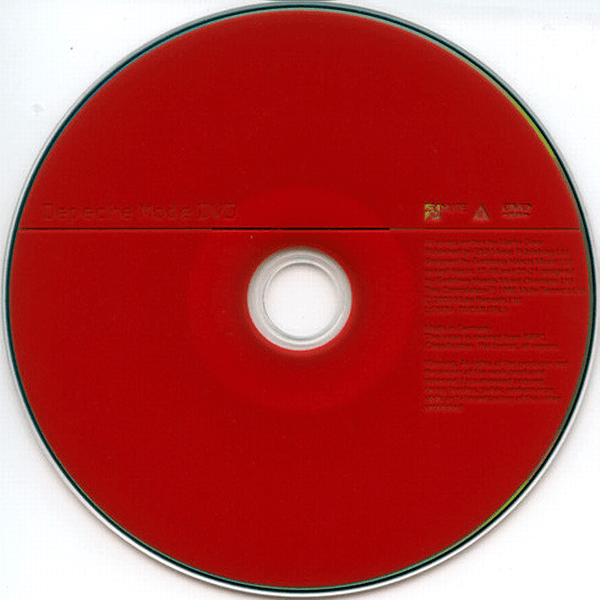 The DVD finishes with an exclusive twenty minute documentary on Depeche Mode covering their career up to the release of the album 'The Singles 86-98'. 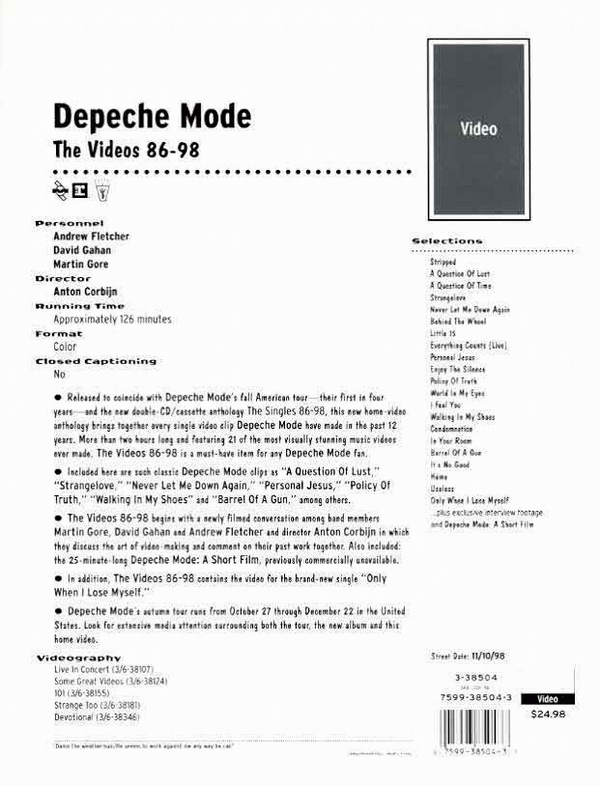 The DVD contains every video the band has made since 1986, including 'Personal Jesus', 'Enjoy The Silence' and 'Policy Of Truth' as well as 'Little 15', released as a single in France only in 1988. It also features the videos for 'Barrel of a Gun' and 'Only When I Lose Myself'. 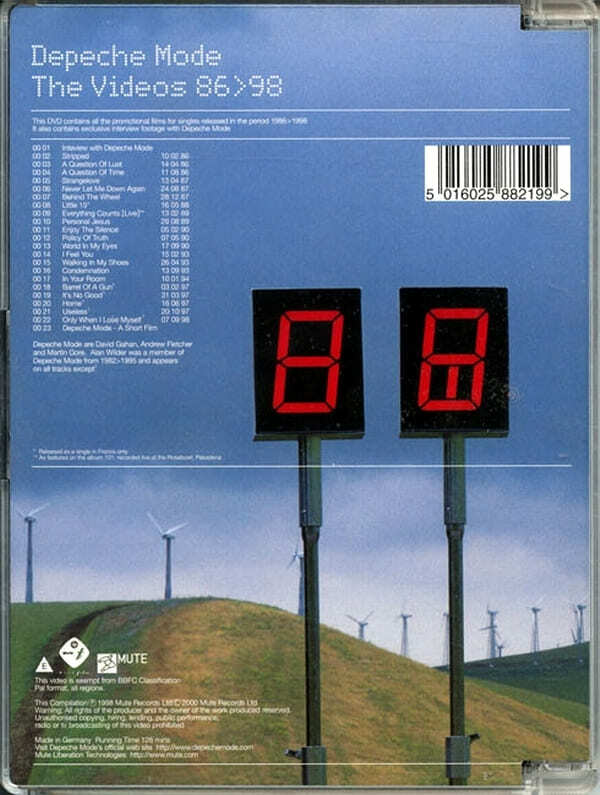 The Singles 86>98 DVD, Catalogue Number DVDMUTEL5, wwas released in PAL format on March 20th, 2000 (UK), and March 13th, 2000 (France & Germany). It is packaged in a durable plastic case, and feature high quality picture and sound, and easy to use menu options. Content will be the same as the video release. The DVD is zoned for all regions, PAL format, and has no "lock zone". It should be noted that it is not NTSC format, therefore the disc won't play through most US TV's, but we have tried to make it accessable to all PAL machines possible. 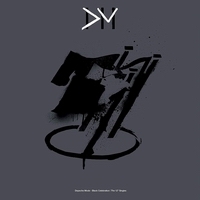 00 03 "A Question Of Lust"
00 04 "A Question Of Time"
00 06 "Never Let Me Down Again"
00 07 "Behind The Wheel"
00 11 "Enjoy The Silence"
00 12 "Policy Of Truth"
00 13 "World In My Eyes"
00 14 "I Feel You"
00 15 "Walking In My Shoes"
00 17 "In Your Room"
00 18 "Barrel Of A Gun"
00 19 "It's No Good"
00 22 "Only When I Lose Myself"
Track 23 not listed on sleeve but on front sticker. 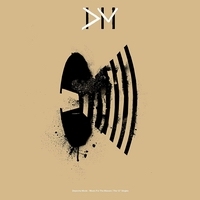 Cover: Made in Germany. Total DVD running time 120 minutes.